This Month, Love Some Learning! Wednesday, February 8, join attorney and adoptive mom Sheri Abrams for The Ins and Outs of Qualifying for Social Security, SSI and DAC, in Fairfax. Saturday and Sunday, February 11 and 12, FFF hosts NAMI of Virginia's Advanced Youth Leadership Training, in Fairfax. Thursday, March 2 - Securing a Future for Formed Families webinar about long range planning, special needs trusts, guardianships, supported decision-making and more with Tia Marsili of The Arc of Northern Virginia. Monday, March 6- Plotting the Path: A Graduation Requirement Update from the Virginia Department of Education webinar with Marianne Moore, VDOE. Wednesday, March 15- Getting to Work: The Workforce Innovation Opportunity Act (WIOA) and Students with Disabilities webinar with Jean Steveson, Va Department of Aging and Rehabilitation Services. Download our FFF Upcoming Events flyer HERE. We are working hard to find ways to offer great trainings on topics that matter to our families, in ways that work for you. Let us know if webinars, on-site trainings or other formats work best for you. What topics do you want to learn more about? Email us your feedback anytime! In addition, don't miss additional trainings and events from our friends and partners around the region and state. Check the regional events calendar listing below. Q: What is Spring Forward fun day? Is it for my kids too? A: Even though Spring Forward 2017 will be our fourth annual event, not every one is familiar with it. We've just opened registration so your question has perfect timing! 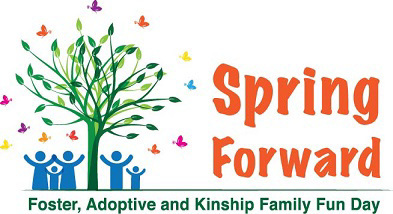 Formed Families Forward will host this year's event from 9:30 AM to 3 PM on Saturday, April 29 at the Providence Community Center, near the Vienna metro station. The day is for families formed through foster care, kinship care and adoption. It is designed to be an easy, low-demand day for children, teens, parents and caregivers alike. A morning of supervised sports, games, arts and crafts and other fun await the kids. Children of all abilities are welcome and we make efforts to accommodate special needs. Skilled nursery care is available for infants and toddlers. This year, parents, caregivers and older teens will hear keynote address "What Really Works and What Doesn't for Tough Kids" by Dr. Bruce Thyer, a professor at Florida State. Breakout sessions follow and include Q & A discussion time with Dr. Thyer and a session about dealing with conflict within families by professional mediator Patricia Anderson. Teens are invited to a Wise-UP workshop to learn strategies for communicating about their families and responding to the questions, comments and curiosities of others. Families reunite for box lunches. Then off to the fun fair in the gym where children of all ages will enjoy carnival games and prizes, a creativity area, face painting, balloon artistry, and an inflatable obstacle course. Thanks to support from co-sponsors such as NewFound Families and Fairfax County Neighborhood and Community Services, the registration for Spring Forward is only $5 per participant ages 3 and up, including breakfast and lunch. So REGISTER NOW and reserve space for your family. February 11- Super Transition Saturday hosted by Fairfax County Public Schools Parent Resource Center, Falls Church. February 15- Understanding the New Medicaid Waivers hosted by Alexandria City Public Schools Family Resource Center, Alexandria. February 16- Navigating Employment Opportunities for People with Disabilities presented by The Arc of Northern Virginia, in Leesburg. 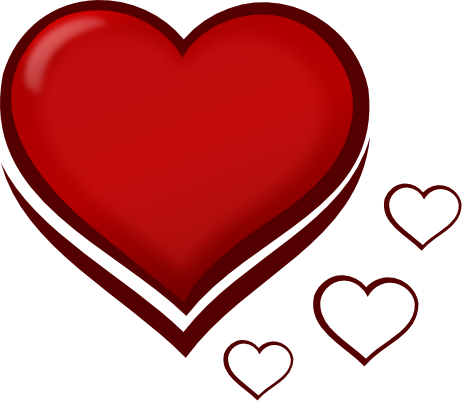 February 16- Promoting Healthy Teen Relationships, hosted by Loudoun County Public Schools Parent Resource Services, Ashburn. February 17- How to Get Where You are Going: Writing IEPs that Reflect Transition Goals from Elementary through Secondary School, hosted by The Arc of Northern Va, Falls Church. February 23 and 28- Becoming an Active Member of your Child's IEP Team, hosted by Arlington Public Schools Parent Resource Center, Arlington. 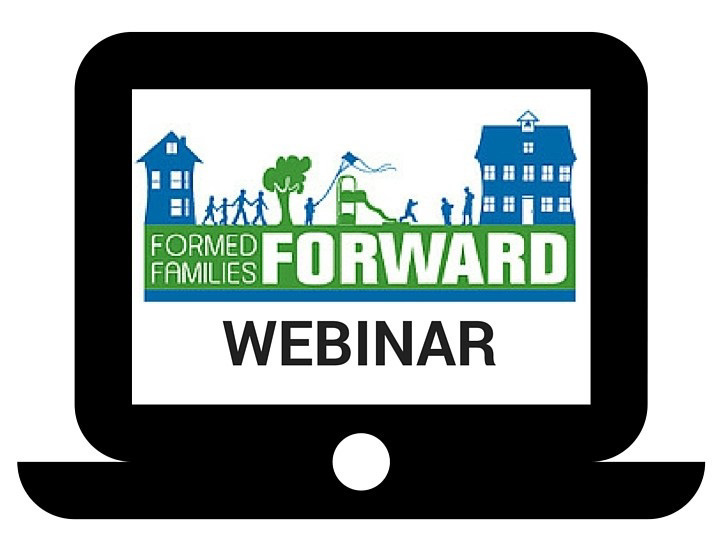 March 2- Securing A Future For Formed Families webinar hosted by FFF. FLYER here. March 6- Plotting the Path: A Graduation Requirement Update from the Virginia Department of Education webinar, hosted by FFF. FLYER here. Youth and Young Adults Taking Charge! Check out these resources and events for teens and young adults to support self-advocacy! The I'm Determined Youth and Parent Summit application is open! The Summit is scheduled for June 14- 16 at James Madison University. Apply for this expenses-paid experience to build self-determination skills with peers from across the state. A new Transition Guide is available from the US Department of Education. Know what services and supports youth with disabilities can receive as you prepare for education and employment after high school. YouthMOVE Virginia at NAMI of Virginia invites youth to its northern Virginia Advanced Youth Leadership training weekend, February 11-12, 2017 at FFF offices in Fairfax. Meals and transportation costs are covered. Join other teens and young adults who care about mental health and map your own journey! REGISTER HERE. Love is in the Air, but we will settle for LIKE! Like Formed Families Forward on Facebook and receive the latest news, event notices and information just for foster, adoptive and kinship families! Formed Families Forward also loves strong leadership, and we welcome applications from parents, caregivers, professionals and interested members of the community who can give of time and talent through service on our Board of Directors. Learn more and apply HERE.